WASHINGTON (AP) — Two leading Senate Republicans on Sunday threatened tough punitive action by Congress against Saudi Arabia, including a possible halt of military sales, if missing journalist Jamal Khashoggi was indeed killed inside the Saudi consulate in Istanbul. As Saudi Arabia warned of possible economic retaliation of its own, Sens. Marco Rubio and Jeff Flake, members of the Foreign Relations Committee, said Congress was prepared to move quickly and firmly if President Donald Trump failed to adequately respond to the Oct. 2 disappearance of Khashoggi, a Washington Post contributor. 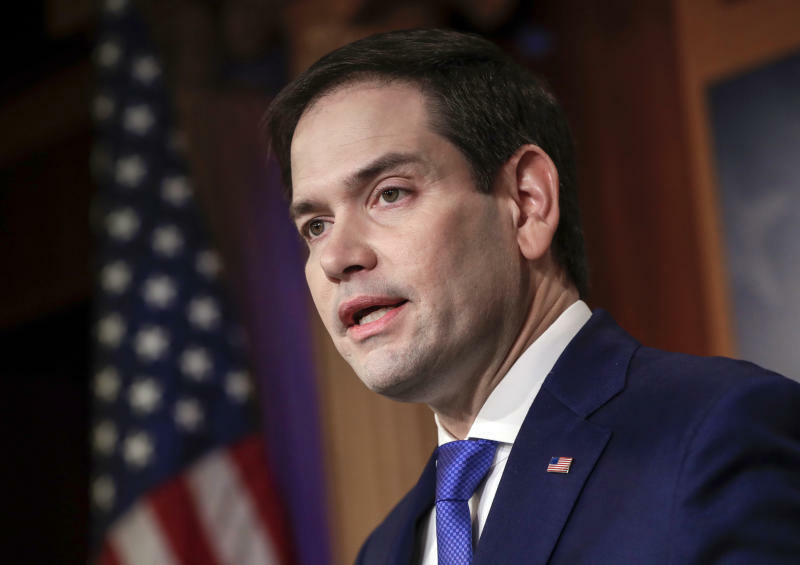 Rubio said U.S.-Saudi relations may need to be "completely revised" and stressed the U.S. would lose credibility on human rights if the Trump administration remained silent. White House economic adviser Larry Kudlow declined to speculate on what Trump might do, citing a "swift and transparent investigation" in the coming week. He also brushed aside the apparent threats from the oil-rich kingdom of economic retaliation if the U.S. were to impose strict measures and said Mnuchin intends to attend the Saudi conference to address terrorist financing. Those plans could change as details of the investigation become available, Kudlow said. "We will take stern action with the Saudis if necessary," he said. "The United States is the dominant energy player so we're in pretty good shape, in my opinion, with our energy boom to cover any shortfalls. We'll wait and see, but rest assured that when the president says we will take actions if we find out bad outcomes, he means it." Trump pledged unspecified "severe punishment" in a "60 Minutes" interview airing Sunday should the U.S. determine Saudi involvement in the disappearance of Khashoggi, who had written columns critical of Saudi Crown Prince Mohammed bin Salman. But Trump has said he does not want to halt a proposed $110 billion arms sale to Saudi Arabia because, he maintained, it would harm U.S. manufacturers. Turkish officials say that they fear Saudi agents killed and dismembered Khashoggi after he entered the consulate and that they have audio and video recordings of it. The kingdom has called the allegations "baseless" but has offered no evidence the writer left the consulate. Rubio appeared on CNN's "State of the Union," NBC's "Meet the Press" and CBS' "Face the Nation," Flake spoke on ABC's "This Week," and Kudlow also was on ABC and "Fox News Sunday."